Perfectly differentiated from the winery's equally excellent Pinot Blanc, this is a bit fleshier, with fresh flavors of apple and pear. The texture, mouthfeel and mineral-drenched acids all flow into a mouthwatering finish. Same variety, two different styles of wine. Within Europe Italian producers generally make the light, crisp wine from the grape and label it as Pinot Grigio. 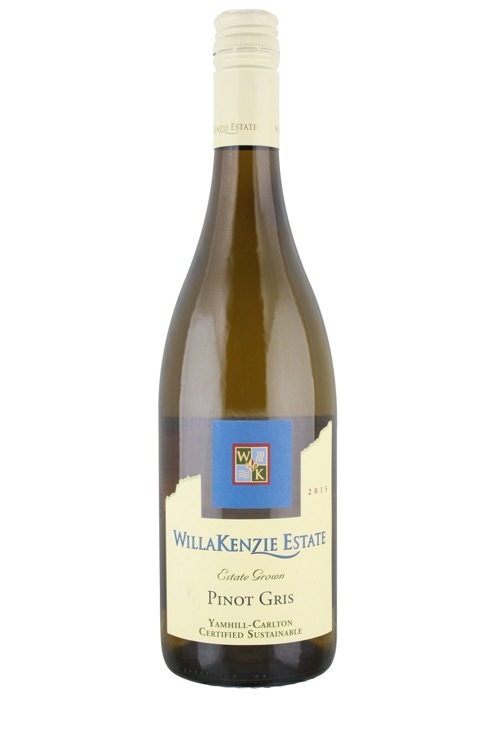 Producers in the Alsace region of France call it Pinot Gris and make a much richer, more developed style. Genetically identical to Pinot Noir, it is thought to have mutated in Burgundy with lighter skins to produce a slightly copper/grey colored fruit. In Germany it goes by a couple of synonyms, Rulander if vinified into a sweet wine and Grauer Burgunder (or Gray Burgundy) if dry. The grape has been exported across much of the New World with particular success in Oregon and New Zealand. Both regions take after the richer Alsation style.